When life gives you lemon, you use them to get rid of a variety of hair and skin problems. Lemon works in many wonderful ways. Rich in multiple nutrients such as vitamin C, vitamin B6, vitamin A, vitamin E, folate, copper, calcium, iron, magnesium, potassium, zinc, phosphorus and protein, this citric fruit is one that can take care of multiple problems of your skin and hair. Oh! What’s more interesting is that you can even make lemonade from it. 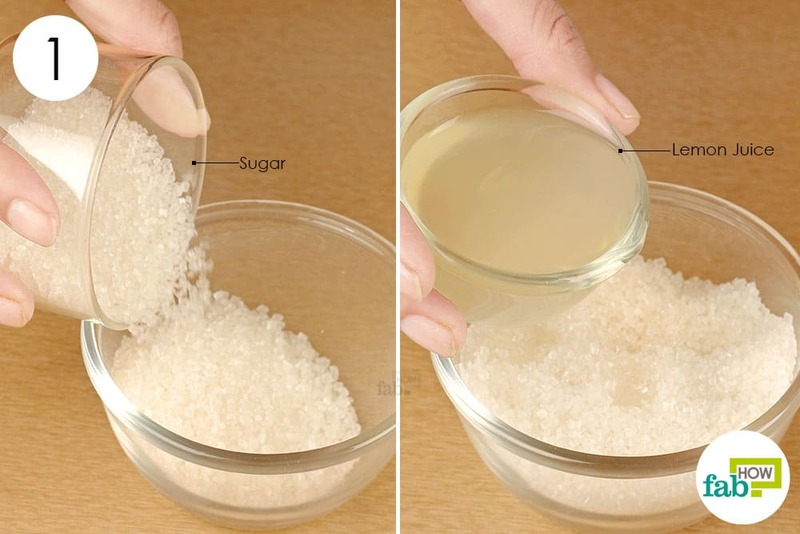 Just add sugar and lemon juice to water, mix well, chill it in the refrigerator, add a little salt and enjoy a refreshing and healthy drink for the summers. It can help you rehydrate your body from all the sweat you lose due to heat. And for other uses, apart from making lemonade, you can use lemon for hair and skin problems as a part of healthy and natural beauty regime. 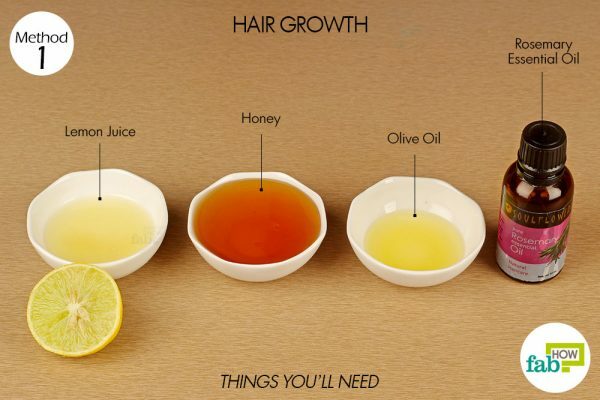 Below mentioned are 5 uses each on how lemon can help you solve your hair and skin problems. Try it to believe it. Lemon is a highly rich source of vitamin C that helps grow your hair longer and stronger, and also makes the frizzy and dull hair shine. The lemon extract helps strengthen hair follicles, which in turn help in hair growth. It also prevents hair from falling as well as promoting new hair, resulting in denser and overall growth of hair. Put 1 tablespoon of lemon juice in a jar. Pour 2 teaspoons of olive oil in the jar. 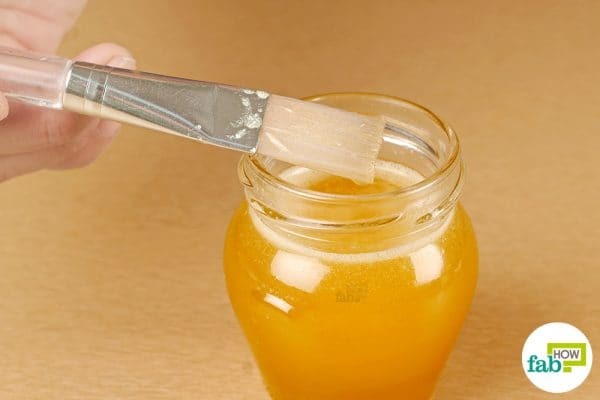 Pour 2 tablespoons of honey in the jar. Add in 3 to 4 drops of rosemary essential oil. 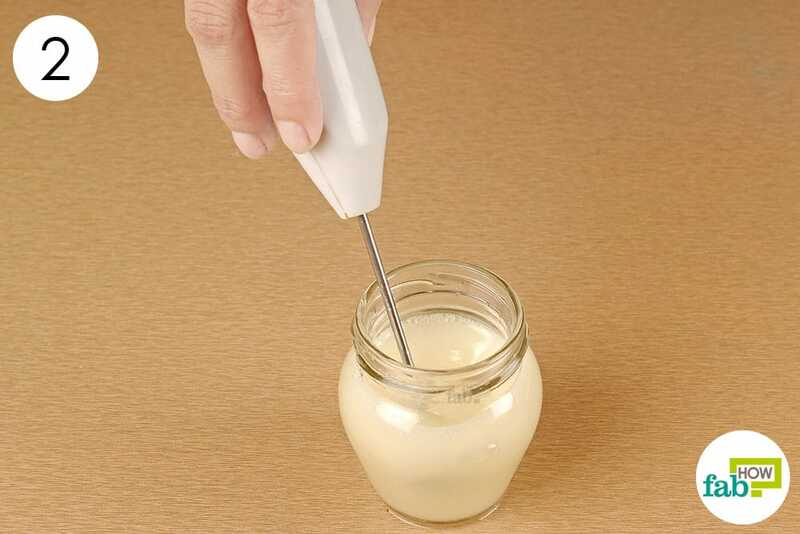 Whisk the solution well using a hand blender. 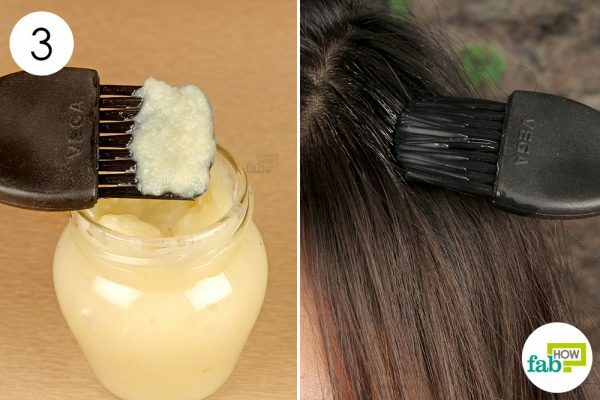 Use a hair dye brush to apply the lemon blend to your hair and scalp until they are fully covered in the mixture. Let the mixture sit for not more than 20 minutes. Rinse and shampoo your hair thoroughly thereafter. If left, store the mixture in an airtight jar for future uses. It should keep well for about 2 weeks. Use this DIY lemon hair growth mask once a week to stop hair loss and promote hair growth. Dandruff is a common hair problem nowadays. The dust and heat makes it even worse. 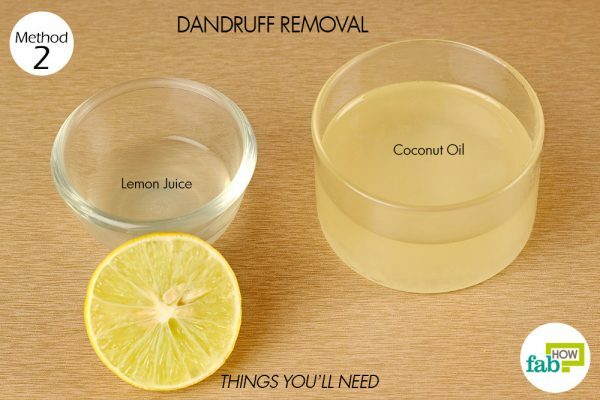 But worry no more, lemon juice along with coconut oil will leave your hair dandruff-free and will make your hair shinny and strong. The antifungal properties of lemon help in killing the dandruff causing fungus, and relive you from dry and itchy scalp infections. Note: Avoid going out in the sun with lemon in your hair as it may have a bleaching effect. 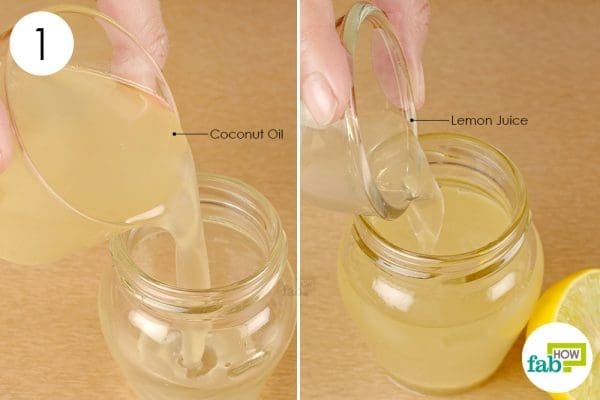 Pour 4 tablespoons of coconut oil into a container. Blend the solution well using a hand blender. Gently massage the solution to your scalp for 10 to 15 minutes. Shampoo your hair the next morning. Using this solution once or twice a week will help you prevent dandruff and will also reduce the chances of scalp infection. Lightening your hair is an expensive affair, and we are not even talking about the chemicals that harm your hair. The cheaper and easier available option is sitting right on your kitchen shelf. Lemon juice when applied to hair, exposed to sunlight, causes a photolytic reaction that naturally bleaches your hair color. This method works best on natural blondes and light brown hair. Darker hair when bleached gives results in varying colors, so you may need to go through a bit of trial and error. Note: Use a good quality sunscreen to protect your skin while sunning yourself. The treatment will also render your hair a little dry. 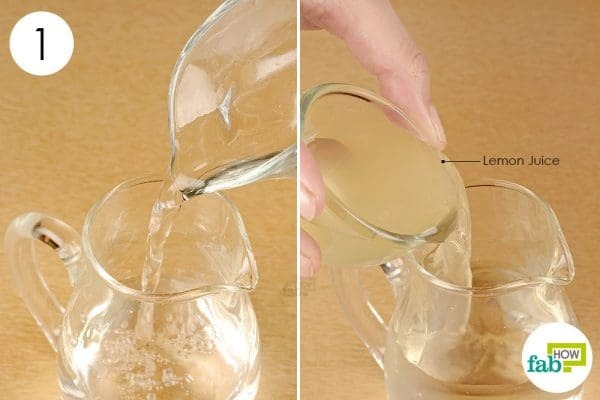 Pour 1 cup of water in a pitcher. Add 2 tablespoons of lemon juice to it. 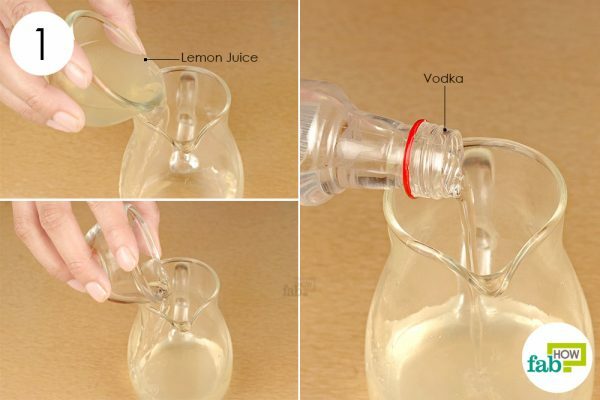 Pour the contents of the jug in a small spray bottle. Shake once to mix dilute the contents. Spray the solution on your hair strands you wish to lighten. For good results, your hair needs at least 2–3 hours of sun exposure. Sit in the sunlight in multiple sessions of 30–40 minutes. Adjust the time of sun exposure according to your requirements. The more time you spend in the sun, the more bleached your hair will become. Rinse well with water, and after that shampoo your hair. Use this lemon hair lightening treatment according to your need until you get the desired results. Lice are not nice. They make you scratch your head so hard, you want to rip your hair apart. They multiply at a significant rate and easily spread from one head to the other. But lemon can help. 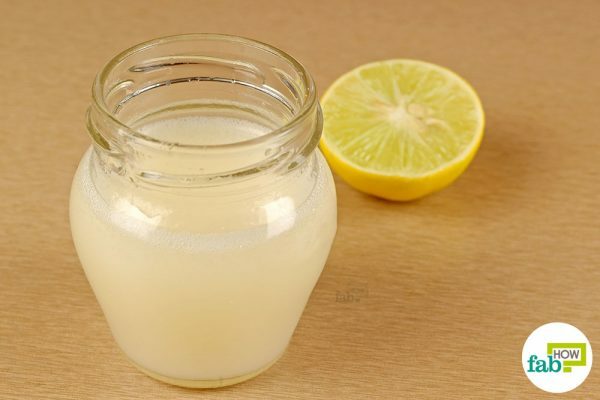 Rich in citric acid, applying lemon juice to your hair will result in lice removal. It is the natural and harmless way of getting the lice out. 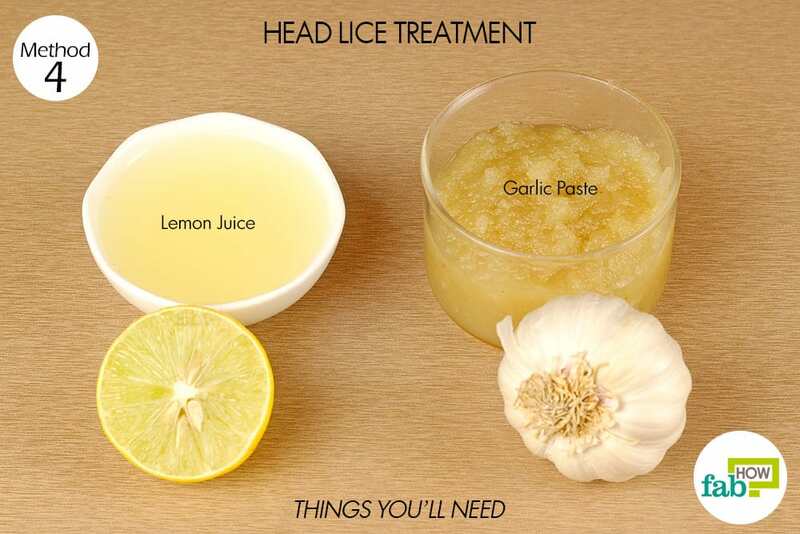 Also, garlic paste in the mixture acts as a catalyst and speeds up the process so that you get a head clear of lice effectively in time. Note: Do a patch on your scalp before following the remedy. If lemon irritates your scalp, dilute it with water or consider using another remedy. Take 3 tablespoons of garlic in a bowl. Pour 2 tablespoons of lemon juice in the bowl. Stir to mix the ingredients well. 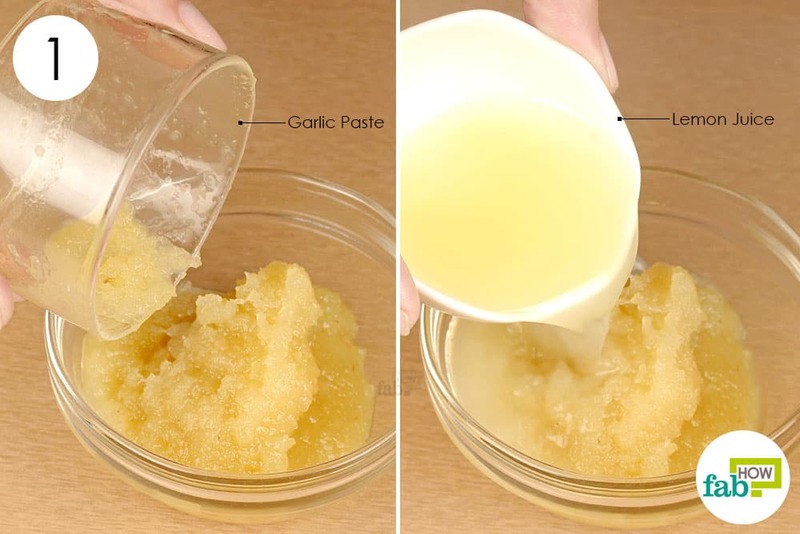 Make a small batch for single use or spoon the leftover garlic–lemon paste in an airtight jar and store in a refrigerator for not more than 1 week. Apply the paste to your scalp using a hair dye brush, covering the hair roots and every inch of the scalp. Let it sit for 15 to 20 minutes and shampoo as usual. Remove the dead lice and nits with a good-quality nit comb. Follow the remedy twice a week for 1 month, without fail, to break the cycle of lice infestation. The sebum secreted from the sebaceous glands in excess can make your scalp oily. Oily scalps tend to have increased hair problems and are easily prone to hair loss and dandruff. 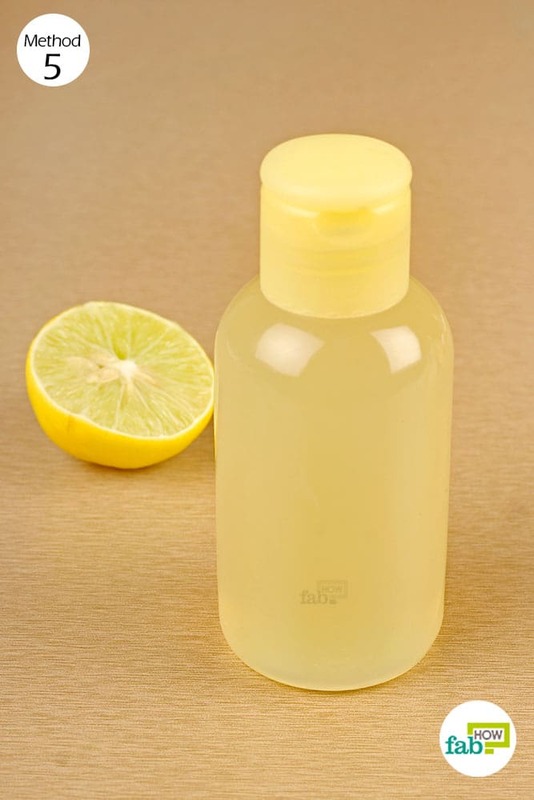 Applying lemon juice to your scalp can help you get rid of the oily scalp without harming the glands while it does so. 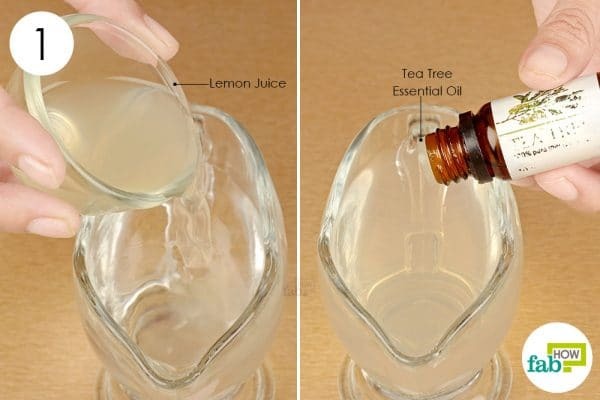 Gently massage the lemon juice to your oily scalp. Dilute lemon juice with equal quantity of water if it feels sensitive on your scalp. Shampoo as usual and pat your hair dry with a towel. 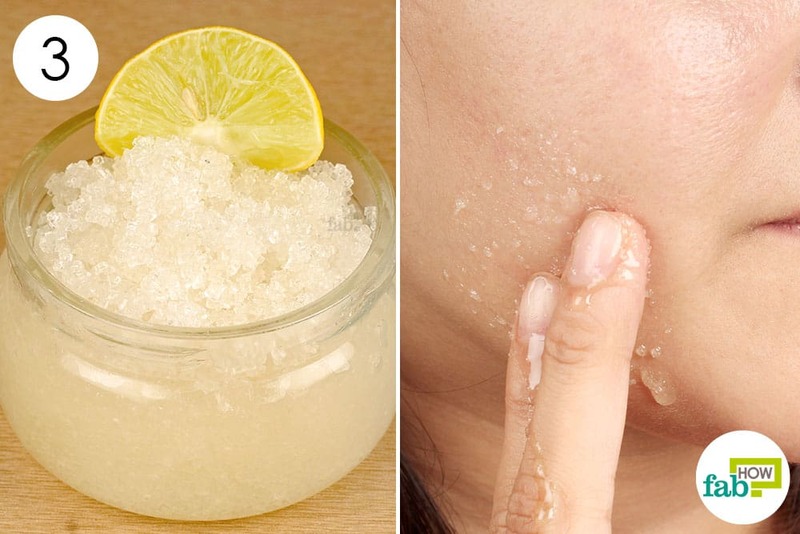 Lemon works like a magic treatment for acne on your skin. It unclogs the pores by removing dirt, sebum, and sloughing off the dead skin cells. Its acidic nature also fights off the acne-causing bacteria. It will also keep acne scars at bay. Note: Lemon can make your skin photosensitive. Avoid sun exposure for at least 12 hours after applying lemon. Use a good-quality sunscreen thereafter. Add 2 tablespoons of lemon juice to a small spray bottle filled with about 2 tablespoons of water. Spray and apply the solution to the acne-affected skin. Let it sit for 15 to 20 minutes before rinsing off with fresh cold water. You can store the remaining solution in refrigerator for up to 1 week. Regular applications 2 or 3 times a day are advised, till the desired results are met. If you have a dry skin, you know how difficult it is to keep it moisturized all the time. 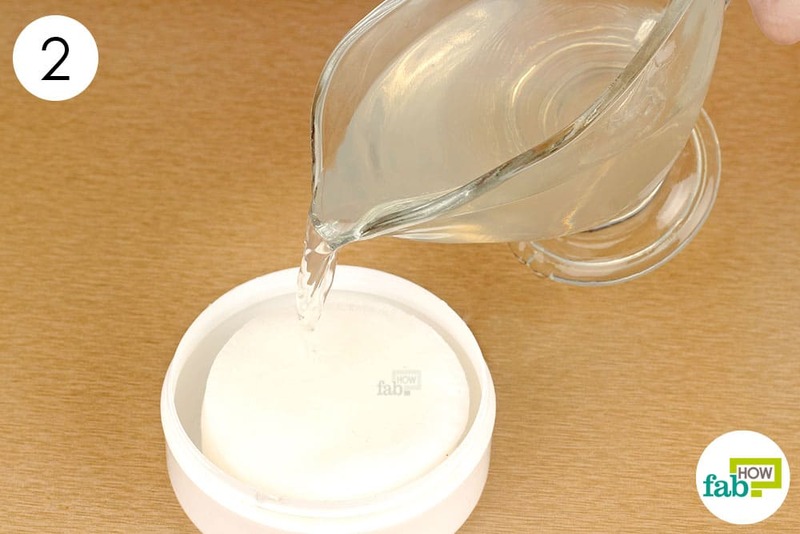 Dry skin is often flaky that prevents the moisturizing agents to be absorbed into the skin. But lemon juice mixed with olive oil and honey can help keep even the excessively dry skin areas moisturized. 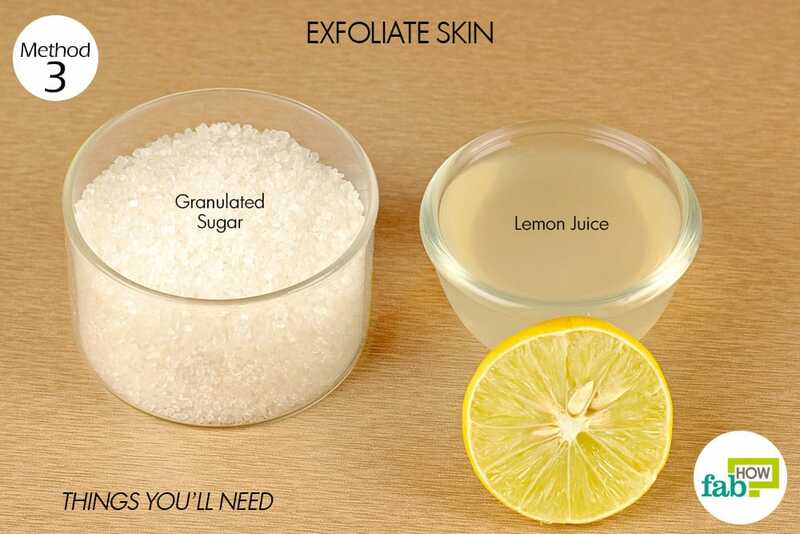 Lemon juice gently exfoliates the skin, removing the flakes on the skin. 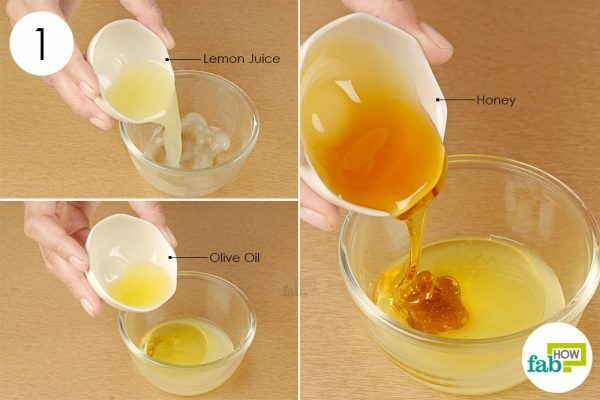 This allows the hydrating agents such as olive oil and honey to penetrate deep and moisturize the skin from within. They also help repair and heal the skin. 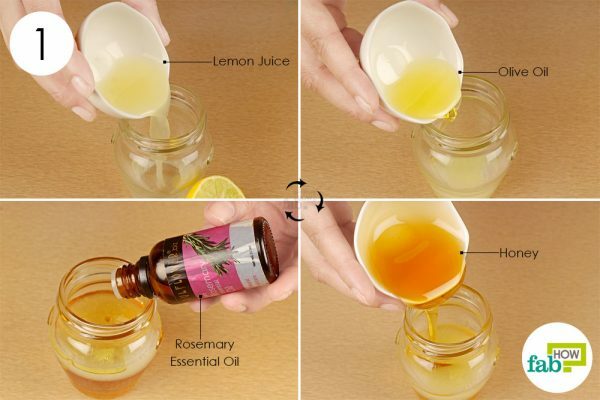 Pour 1 tablespoon of lemon juice in a small bowl. Pour 1 tablespoon of olive oil to the bowl. Use a hand blender to whisk the solution thoroughly. Pour the solution in a bottle to use and store for future purposes. Use a funnel for transferring, else you may end up spilling some of the solution out. This DIY lemon moisturizer should keep well for up to 1 week when stored in a refrigerator. Apply the solution on the dry areas of the skin. Let it sit there for 15 to 20 minutes. Rinse it off with water thereafter. Use once or twice a day regularly to notice positive results within 2 weeks. Continue use to maintain healthy skin. Lemon is quite an efficient exfoliant due to the presence of citric acid in it, which helps in shedding away the old and dead skin cells. It also contains vitamin C which can give you a clear and glowing skin. 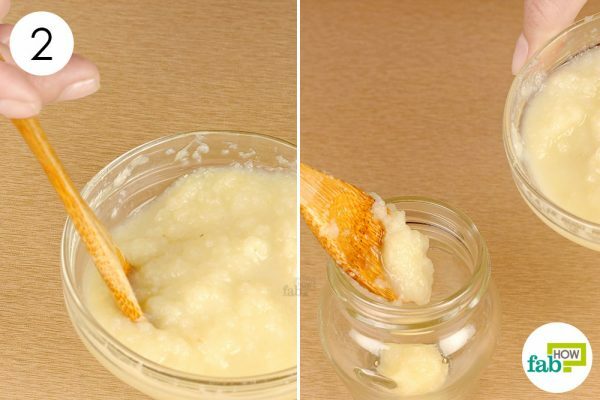 Note: If you have dry skin issues or have sensitive skin, improvise by supplementing the recipe with hydrating agents such as honey or coconut or olive oil. Put ¼ cup of sugar into a bowl. 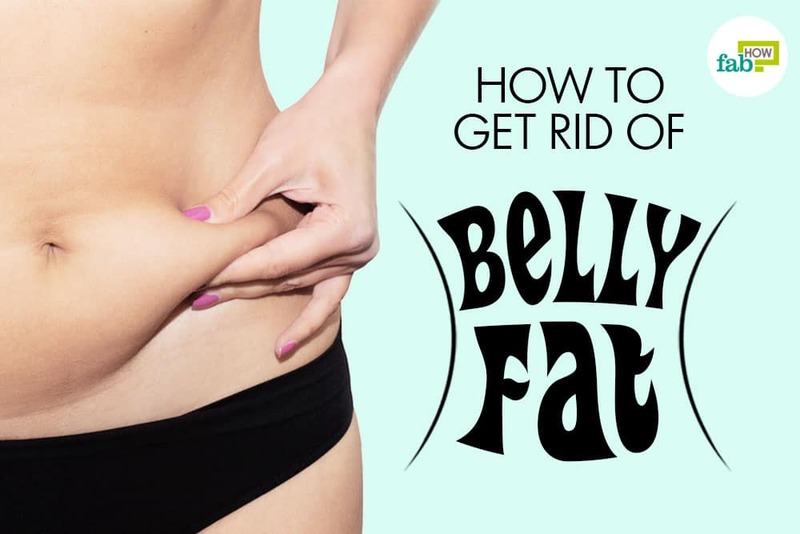 Pour in 2 tablespoons of lemon juice. Stir well to mix the ingredients properly. Transfer the contents to an airtight container and store for up to 1 week under refrigeration. 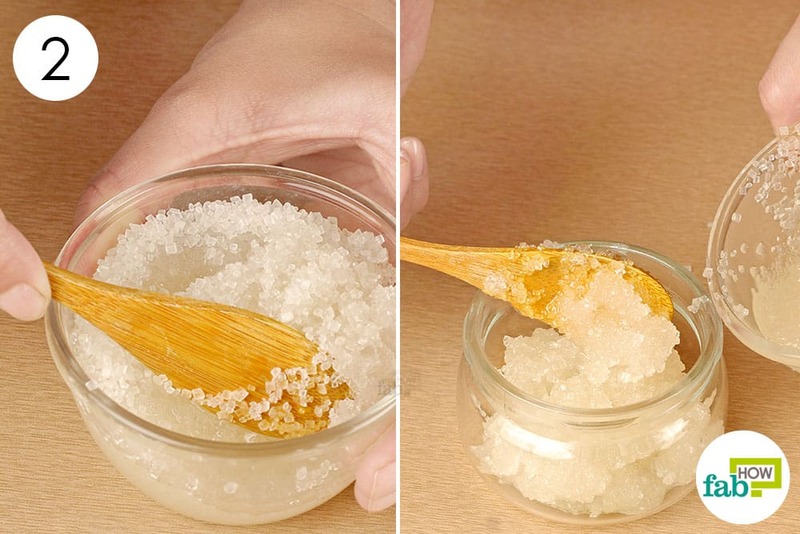 Massage the lemon scrub onto your skin for 1 or 2 minutes and let it sit for some time, say 10 minutes. Rinse well with cool water and pat dry. Apply your favorite moisturizer to lock in the moisture. 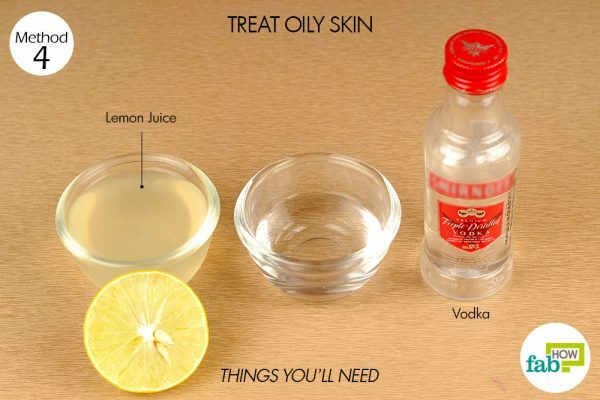 Oily skin will no longer be a problem with lemon and vodka at work. Lemon takes away the excess oil of your skin without harming the glands that produce it. A win-win situation for you and better than the harmful chemical products you would otherwise apply on your skin to get an oil-free skin. This combination also works as an astringent and toner. 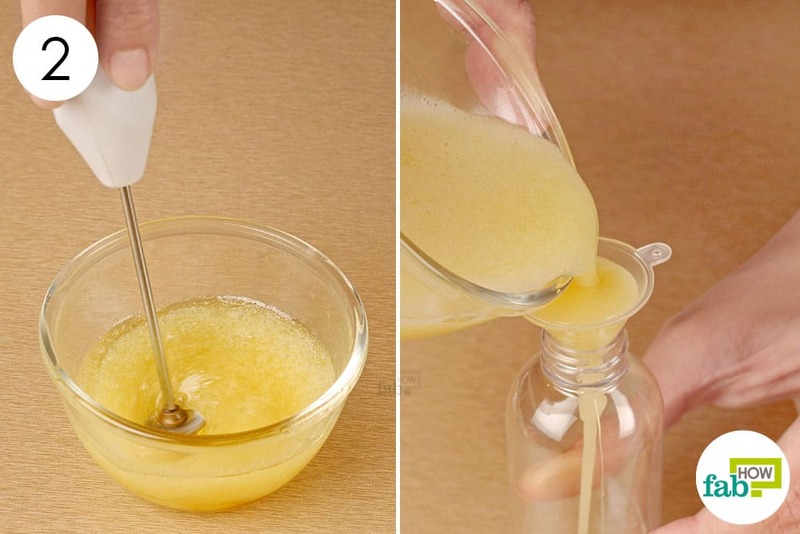 Pour 2 tablespoons of lemon juice in a jug. Add 1 tablespoon of distilled water to it. At the end, add 2 tablespoons of vodka to the solution. 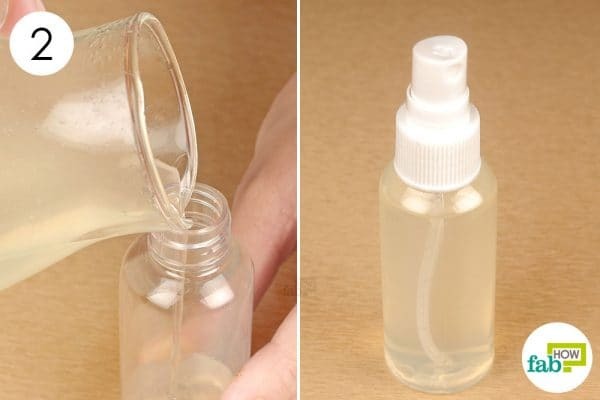 Pour the contents of jug into a spray bottle for easy application and storage. This solution can be stored for about 1 week under refrigeration. Apply a light spray of the solution on your oily skin. Let it stand for 10 minutes, and rinse with cold water later. Lemon juice cleanses your skin effectively. It helps to unclog the pores and remove excess sebum from the skin, allowing the skin to breathe. This makes it the perfect solution for recurring skin problems such as blackheads, whiteheads, acne, and breakouts. Tea tree essential oil, in addition, lends its powerful antimicrobial and anti-inflammatory properties. It prevents and protects your skin from any further allergies and infections. 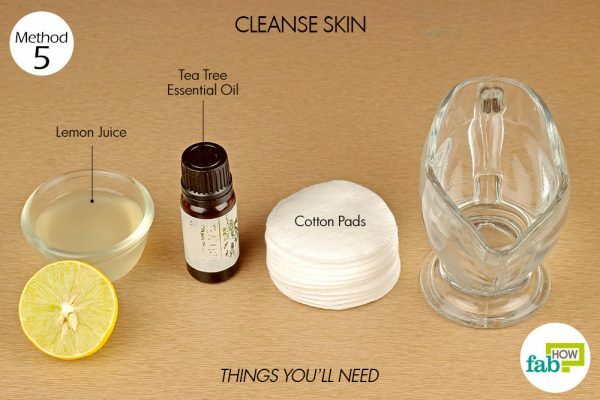 These DIY lemon cleaning wipes with tea tree oil are easy to procure and make for an easy skin-care routine. Pour 2 tablespoons of lemon juice in ½ cup of distilled water. Add 5 to 6 drops of tea tree essential oil to the solution. 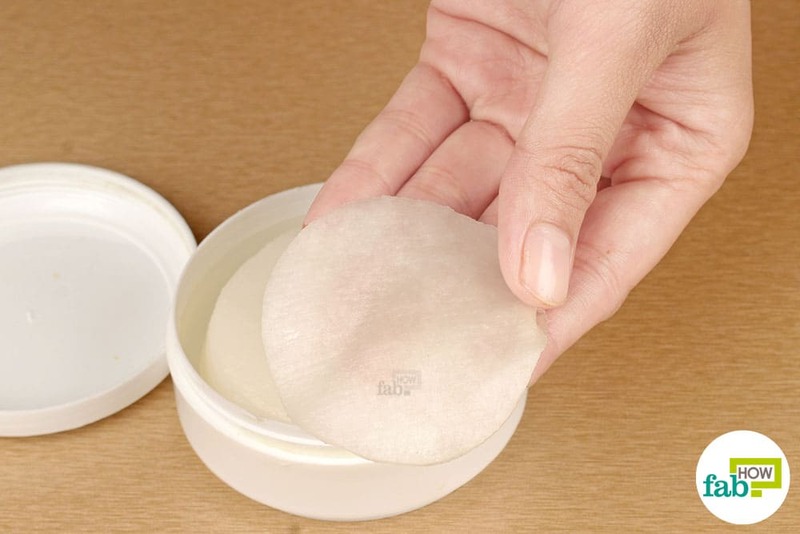 Stack the cotton pads into a small airtight container. Pour the solution over the cotton pads, soaking them completely with the solution. Use the soaked cotton pads as cleansing wipes on your skin. Store the wipes in refrigerator for up to 1 week and use as required. You can jazz up the lemon juice toner for oily skin by substituting distilled water with good-quality rose water. While making cleaning skin wipes, you can substitute lemon juice with lemon essential oil to extend their shelf life. Also, you won’t have to refrigerate it, so you can carry it on the go. Freshly squeezed lemon juice is advised over packaged juice as it is free of preservatives. Lemon remedies are best applied after sundown, as it guarantees protection from sun exposure for a few hours at the very least. Lemon juice is acidic in nature and can cause your skin to dry out. 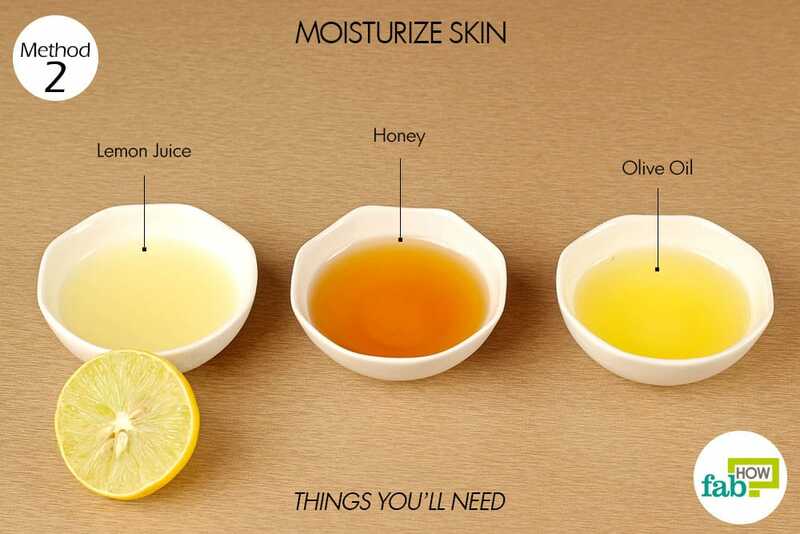 Apply moisturizer after its use on the skin.